I remember the first time I laid my eyes on a Sarah J Maas book. I spotted this picture on W24 Book Editor’s Instagram and I moseyed on over for a closer look. The excitement in the comments intrigued me and seeing as I’m always on the hunt for a new book, I gave it a go. But I did not expect to fall head over heels in love with these books the way I did. 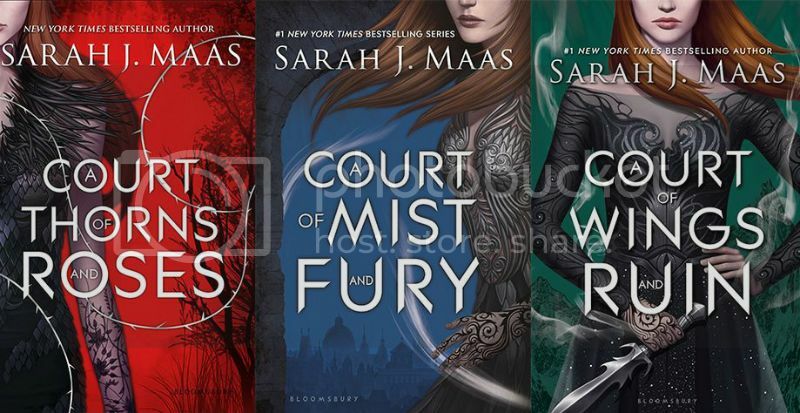 A Court of Mist and Fury being the second in a trilogy meant that I first had to read A Court of Thorns and Roses. So obviously I went straight to Google Play to download it. The series revolves around human girl Feyre and how she gets involved in all sorts of Fae shenanigans. I don’t want to give too much of the plot away but in true SJM style the first book is such an eye blind. Going from book one to two gives you mental whiplash but in a good way. Her world building is incredible and you fall in love with her characters so fiercely and so quickly. This is pure fantasy at it’s best but certainly not a book for children, which is why I’m thoroughly confused when I see this being labelled as such. There are a couple of adult scenes (if you catch my meaning…) and while you could count them on one hand and it adds to the story and relationships rather than just for pure titillation, they are graphic in their description. The series is rounded out with A Court of Mist and Fury and A Court of Wings and Ruin. And while ACOWAR does conclude the main story, SJM is releasing a novella titled A Court of Frost and Starlight set in this universe. Once I was finished devouring ACOTAR and ACOMAF, I just needed more. via GIPHYYou said it Mary Berry! I wanted more and seeing as there was still a year till ACOWAR was released I had time to get into the four books (at the time) in her Throne of Glass series that were already out. After serving out a year of hard labour in the salt mines of Endovier for her crimes, 18-year-old assassin Celaena Sardothien is dragged before the Crown Prince. Prince Dorian offers her her freedom on one condition: she must act as his champion in a competition to find a new royal assassin. This series is a little hard to get into, especially the first two books. In fact, whenever I re-read this series, I start from the third book, Heir of Fire. Those first two books are important for character and plot development but I just don’t lus like reliving it especially when my favourite character, Manon Blackbeak only shows up from that point. But seriously though, just soldier on through them (they’re not terrible to be honest) and you’ll get into one of the most amazing book series you’ve come across. Once again SJM is so, so on point when it comes to world building, character development and making you fall in love with characters easily and wholeheartedly. 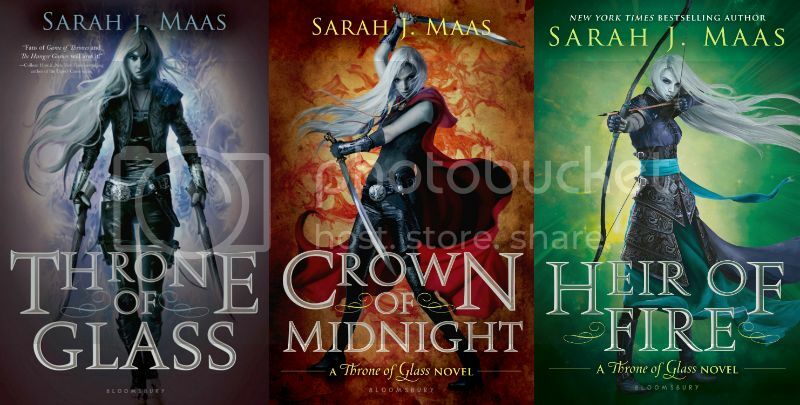 So do yourself a favour and pick up a book by Sarah J Maas next time you’re in a book shop or even better, the library.